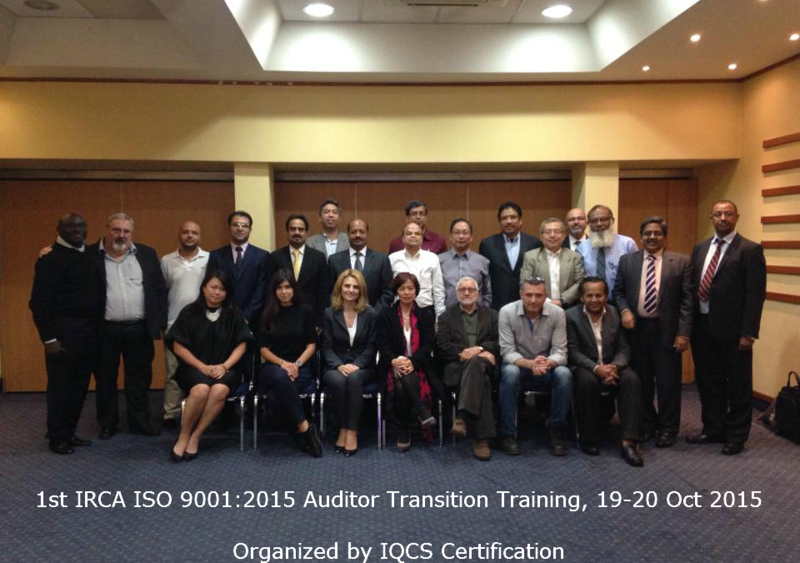 On 19th & 20th October 2015, IQCS Certification has launched its series of accredited seminars for IRCA ISO 9001:2015 International Auditors’ Transition Training. The first course has been hosted in Thessaloniki, Greece, with delegates from 17 different countries over the world who joined the training and experience exchange course. The main purpose of the courses is the knowledge transition from ISO 9001:2008 to the new advanced requirements of ISO 9001:2015 version. A comprehensive insight of Annex SL (framework for management systems certification) has been provided by international certified tutors from Serbia and Greece. In addition, the course had a focus on the risk- based approach and processes by stimulating and enriched case studies’ activities. IQCS continues in planning to organize a series of new IRCA Approved training in year 2016.